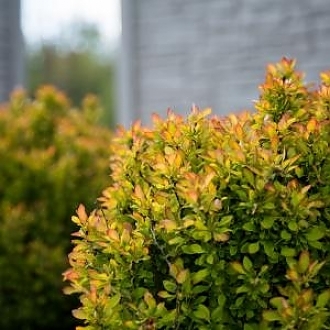 Limoncello™ Barberry has chartreuse foliage with a unique red pattern around the margin. In Fall, the foliage is orange, yellow, and red. The beautiful colors as well as the nice, tidy, mounded habit make this barberry the perfect accent for any landscape.